Not only has Netflix jumped feet first into buying up major productions like Beasts of No Nation, they've also taken on a number of smaller films exclusive to the network, like the recent EDM drama XOXO, which you can review here. 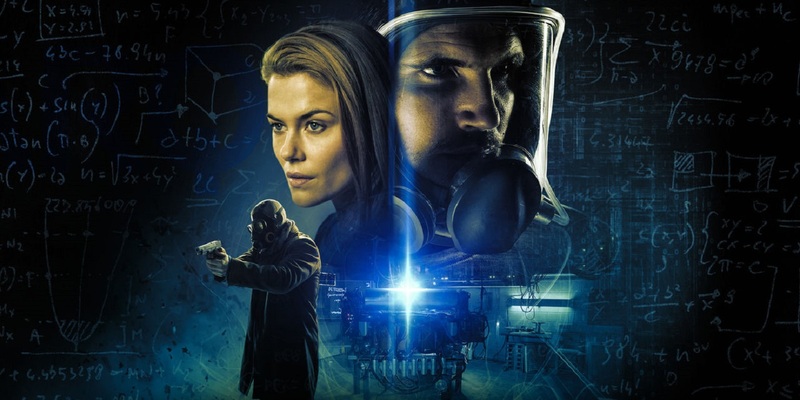 Their latest is the small budget sci-fi film, ARQ, which features two stars with a ton of superhero experience: Robbie Amell, who played Firestorm on The Flash, and Rachael Taylor who plays Patsy Walker in Jessica Jones. In what sounds like a poor man's Edge of Tomorrow, the film is set in a dystopian future when experimental world-saving technology has caused a time loop forcing an engineer to relive a terrifying home invasion. The film is directed by Tony Elliott, an editor and writer on Orphan Black. ARC debuts at TIFF before hitting Netflix on September 16th.